These cheesy bean and sweetcorn nachos are the perfect combination of crunchy and creamy, a mountain of bubbling cheese, crisp sweetcorn and mixed beans, piled high on top of our extra thick, extra crunchy Nachips. 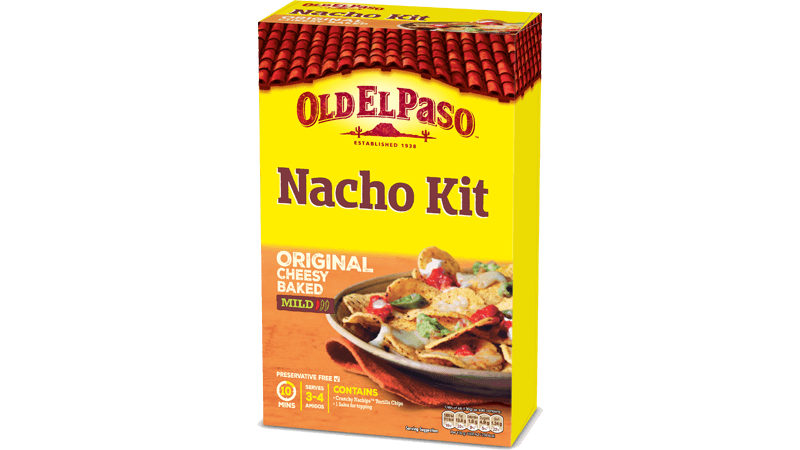 To get started on these cheese nachos, fire the oven up to 180ºC (160ºC for fan assisted ovens), gas mark 4. Heat the corn or vegetable oil in a pan, toss in the chopped pepper and cook for 2-3 minutes until soft. Stir in the mixed beans, sweetcorn and 1 sachet of the Nachos Topping. Simmer for 3-4 minutes. Spread a layer of our extra thick, twice cooked Nachips on a baking dish, spoon over some of the sweetcorn and bean mixture, a few of our hot and tangy Jalapeños and some finely grated cheese. Repeat to make 3 layers, saving some of the cheese for the top. 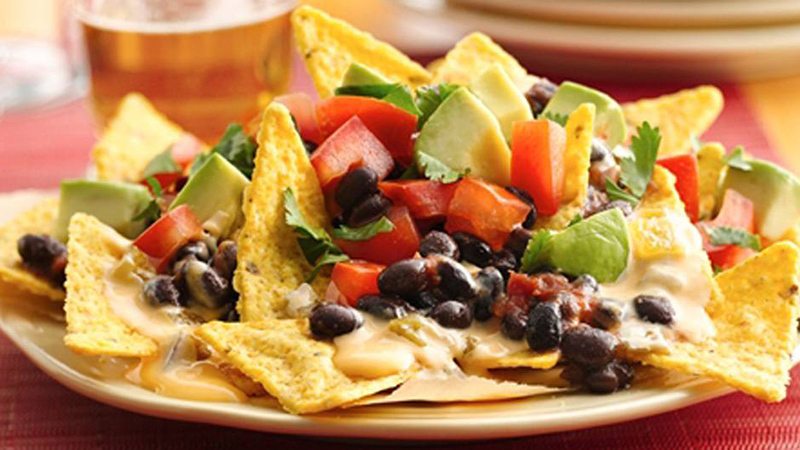 Pour on the other sachet of Nachos Topping and sprinkle with the remaining cheese. Bake for 10 minutes until the cheese is melted, golden and bubbling. Serve them up straight from the oven with a big spoon of sour cream and guacamole over top or on the side. Then call your friends and dig in while they’re still piping hot.